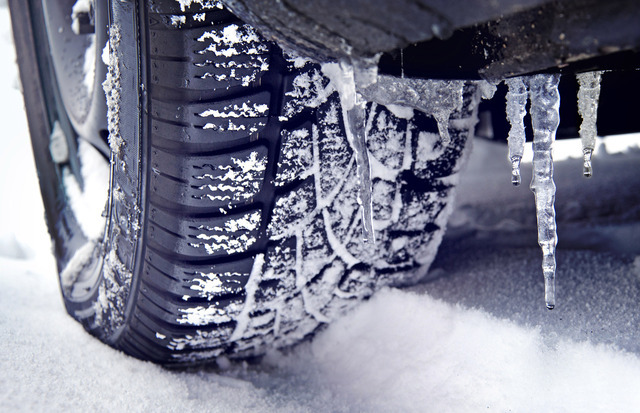 A recent study by the Tire and Rubber Association of Canada shows 68% of Canadians will install winter tires. Shop Insurance Canada explains why using special tires in the winter is important. (PRLEAP.COM) November 30, 2016 - During the winter months, road accidents involving vehicles and pedestrians rise throughout Canada. There are numerous safe driving practices that can be observed to lower the chance of a collision, but installing winter tires is among the most effective. Auto insurance expert, Shop Insurance Canada, says customers are getting the message regarding winter tires. The company also explains why installing special rubber for the cold season is important. Most authorities agree that installing winter tires is an essential step to staying safe when driving during the cold months. However, not all provinces make winter tires a mandated feature. Quebec does, but others like Ontario do not, and instead offer auto insurance discounts to customers who install them. Despite not being a mandated feature in some provinces, Canadians appear to understand the importance of winter tires. A recent survey by Leger for the Tire and Rubber Association of Canada (TRAC) found that seven in 10 Canadian drivers will use winter tires this year. Quebec is the only province that makes winter tire installation the law. TRAC shows that 68% of Canadian drivers use winter tires, suggesting motorists understand the benefits even outside Quebec. Nearly seven in 10 Canadian drivers are adopting the use of winter tires, according to a new survey by Leger for the Tire and Rubber Association of Canada (TRAC). The survey was conducted amongst 1518 Canadian drivers between Oct. 17 and 20. The online test had a probability sample of the same size would yield a margin of error of ±2.5 percentage points, 19 times out of 20. In Atlantic Canada, where winter tire usage is traditionally second only to Quebec, usage has risen eight percentage points to 81%. 32% of drivers are holding out on using winter tires. That sample believes that all-season tires should be good enough, with 48% of the remainder stating this as a reason for not installing winter tires. 23% cite cost as a reason to not install the tires. "Drivers adopting winter tires in record numbers is fabulous news because it means Canada's roadways in winter are becoming significantly safer," said Glenn Maidment, president of TRAC, in the release. "However, the fact that three-in-ten motorists still do not own winter tires poses a threat to all motorists. This is why outreach to educate drivers continues to be needed. Every motorist needs to know that today's high-tech winter tires radically outperform all-seasons in all cold-weather driving conditions and offer potentially life-saving benefits." Shop Insurance Canada, home to a leading auto insurance quote engine and industry advice, says it is important for the government to campaign to get all drivers to use winter tires, even if that means making them mandatory throughout the country. "Receiving an auto insurance premium discount for installing winter tires is a significant incentive, but in reality the cost of buying and installing these specialist tires outweighs the discount. Companies will typically offer around a 5% discount for winter tire use, but purchasing them can cost hundreds of dollars. However, a good set of winter tires will last multiple seasons, so are really an investment on safety. There is no doubt that using specialist tires during the winter improves vehicle handling, braking distances, and traction. It is encouraging to see that the majority of Canadians are adopting winter tires without being mandated to do so. The government needs to find ways to entice the holdouts, which can hopefully be achieved without ever needing to make winter tires a legal necessity nationwide." Shop Insurance Canada is a Toronto based company that specializes in delivering the best auto insurance products to customers around Ontario and Canada. The online quoting tool uses an engine that is easy to use and accurate enough to deliver the best auto insurance quotes from over 25 of Canada's leading providers. Shop Insurance Canada also offers expert advice on the auto insurance industry, as well as guides and news to help customers find the best deal possible. Shop Insurance Canada works hard to bring all the latest insurance news to customers. We believe that understanding the industry starts with knowing what is happening day to day. Our customers and readers are hugely important to us, and we want them to get the best deals by being involved in the industry. If you have any interesting insurance topics or stories, let us know and we will be happy to look into it and write it up. Perhaps you have a funny story about your premium evaluations, or maybe a genuine worry about the state of insurance in Canada. Shop Insurance Canada wants your voice and story to be heard, so get in touch with us via our official contact page.